President Trump on Friday touted a new bill which would allow federal officials to more easily deport criminal illegal aliens. The Community Safety and Security Act passed in the House 247-152 after its introduction last week by Rep. Karen Handel (R-GA). It is a response to an April Supreme Court ruling that said federal law lacks clarity over how to charge immigrants with aggravated felony, since that determination is based on whether the perpetrator committed a "crime of violence" - an undefined term in federal code. 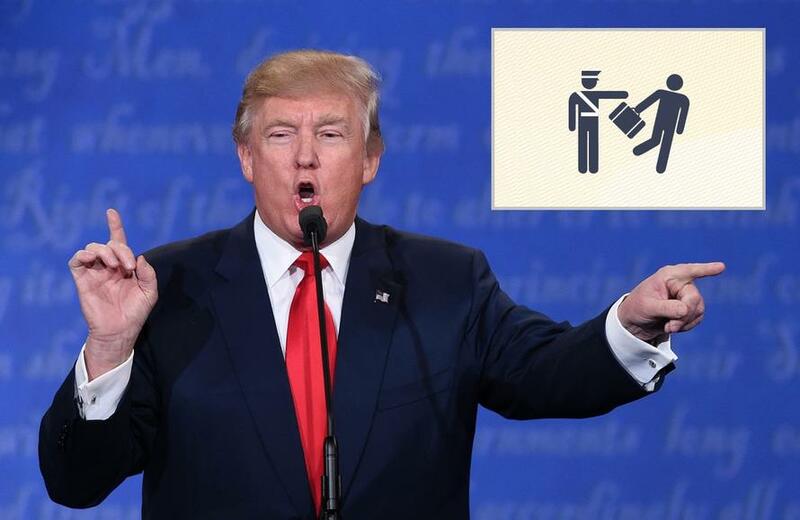 Friday morning, President Trump tweeted: "Under our horrible immigration laws, the Government is frequently blocked from deporting criminal aliens with violent felony convictions. House GOP just passed a bill to increase our ability to deport violent felons (Crazy Dems opposed). Need to get this bill to my desk fast!" Under our horrible immigration laws, the Government is frequently blocked from deporting criminal aliens with violent felony convictions. House GOP just passed a bill to increase our ability to deport violent felons (Crazy Dems opposed). Need to get this bill to my desk fast! Supporters of the bill add that the legal clarification will also help federal officials prosecute people for crimes unrelated to immigration - and would boost safety and security across the country, according to Handel. "This legislation provides critical clarity to the definition of crime of violence in the United States code in order to keep violent criminals and ensure the safety of our communities," Handel said ahead of the Friday vote, speaking from the House floor while touting support of the legislation from the Fraternal Order of Police. "Failure to address this issue would foster vagueness and uncertainty in our courts." Democrats and immigrant rights groups criticized the legislation, claiming it will be used to target immigrants and could lead to an increase in deportations. “Because this definition is cross-referenced widely throughout the criminal code and incorporated into federal immigration law, this bill will trigger a significant expansion of the penalties attached to even minor criminal conduct in federal criminal court, exacerbate the mass incarceration crisis, and render even more immigrants subject to the disproportionate penalty of deportation,” wrote the National Immigrant Justice Center, the Immigrant Defense Project, and other organizations said in a combined statement reported by the Examiner. Texas Rep. Sheila Jackson Lee (D) said on Friday that the bill was brought to the floor in a "hasty, precipitous manner."